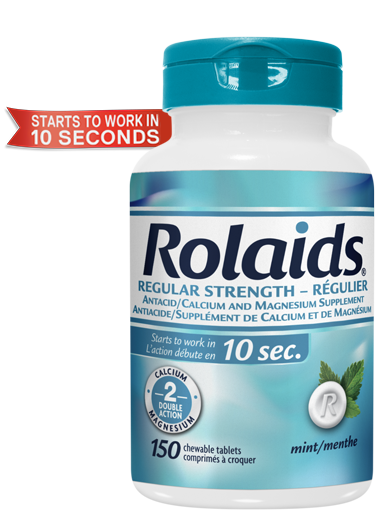 By clicking "Get Coupon" you will be leaving the Rolaids website and will be visiting another website which is not under control of Sanofi Canada. Rolaids® chewable tablets deliver fast and effective relief so you can get back to enjoying everything you love without letting heartburn get in the way. Heartburn and indigestion cause discomfort that not only gets in the way of enjoying the foods you love, and some special good times in your life.